Product code: ES3927 Categories: Sold Items, Sold Rings. An Art Deco diamond engagement ring on your finger -what could be better? 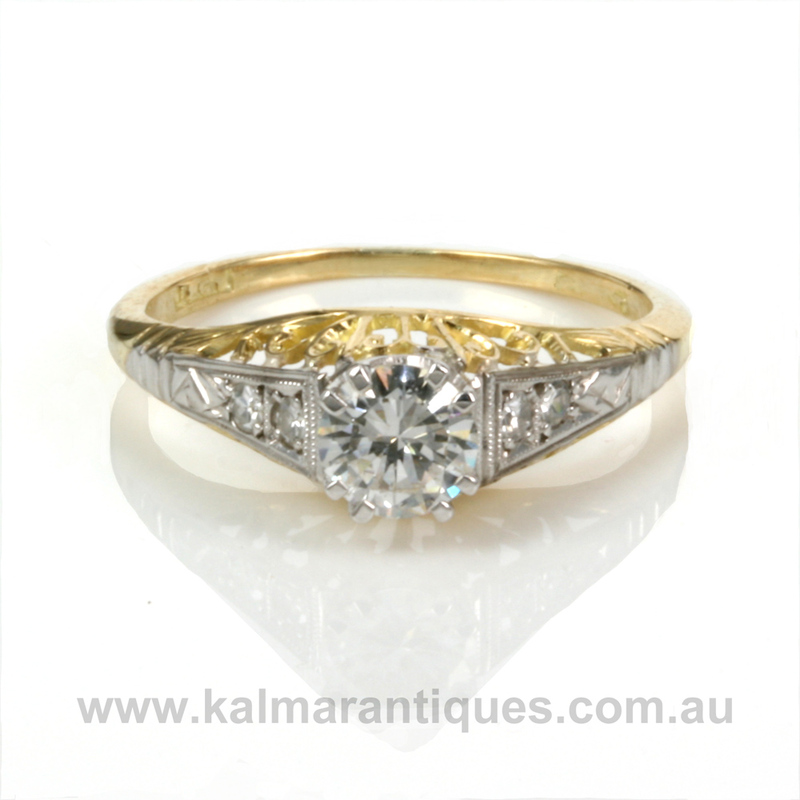 And here is a very special and beautiful Art Deco diamond engagement ring that is simply divine. 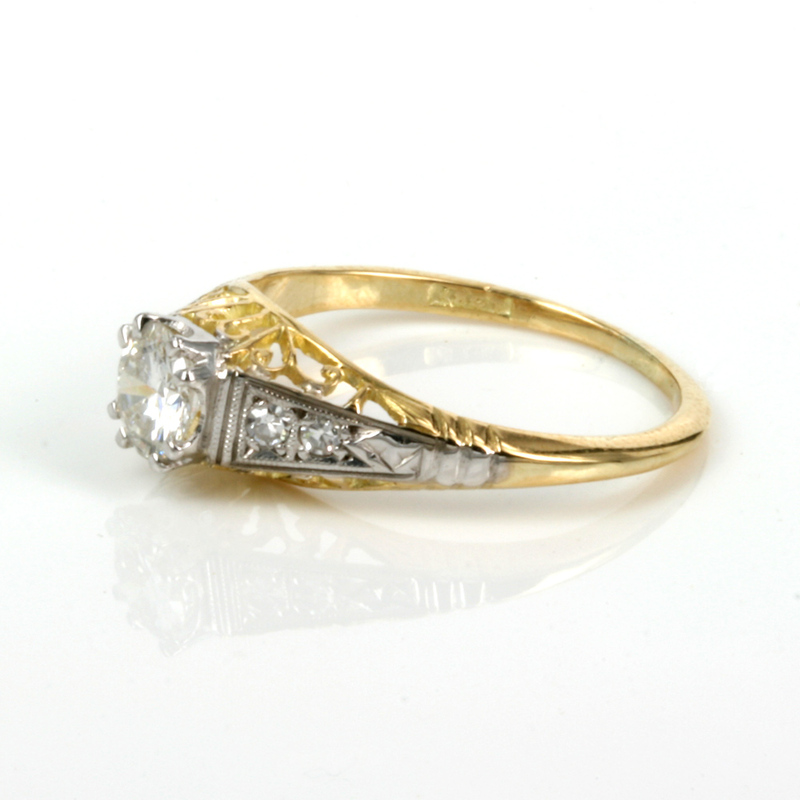 Entirely hand made in 18ct yellow gold and platinum in the 1930’s the detail and elegance in this ring is amazing. The scroll work on the side of the ring, combined with the shoulders each set with diamonds in platinum leading up to the centre diamond is so elegant and what an Art Deco engagement ring is all about. In the centre is a vibrant 0.50 carat diamond that sits so proudly and is G in colour and Si in clarity. Then on each side there are two more diamonds with a total weight of 0.06 carats and add just the right amount of sparkle and added elegance. From one end diamond across to the other, this distance measures 12mm across by 6.3mm wide at the centre and will sit so proudly on the finger. If you are after a very special, elegant and unique diamond engagement ring, then this one may just be the one.